sugar and fish stock and simmer on low heat until the mixture thickens. Lightly salt the Barramundi fillets and heat up one tbsp of oil in a pan. Place the fillets skin side down and fry until the skin is golden brown before flipping over and cooking the flesh. Cut the leaves off of the bulbs of the bok choy and steam them for 1-2 mins. 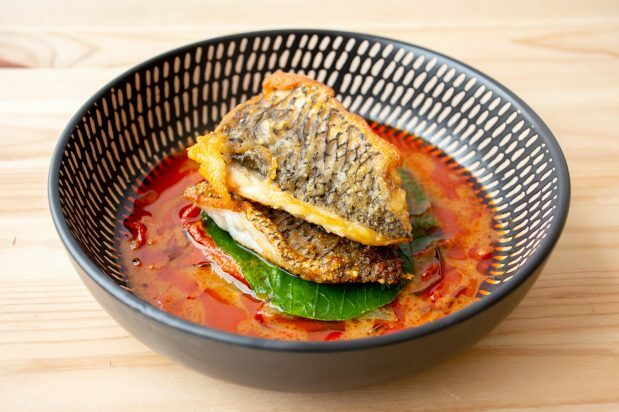 Arrange the bok choy, red curry and fish and serve.